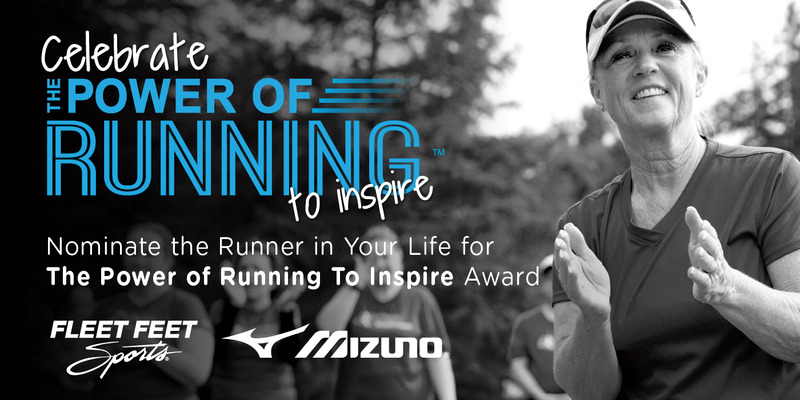 Throughout September, you had a chance to submit nominations for The Power of Running to Inspire (with Mizuno) as part of The Power of Running Campaign. Criteria for the nominations was based upon a number of factors including: One who improved his or her health, overcame challenges, raised money for charity, or rallied communities. All through running. 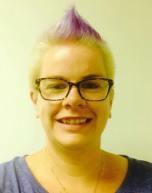 "Stephanie started running about a year ago. She has completely changed her lifestyle for the better. She has inspired me to start working out myself, and becoming more active. Stephanie has done many runs over the past year. She 110% dedicated to living a healthier lifestyle. She is such a positive inspiration for any one wanting a healthier lifestyle. Stephanie is a great coach and leader!" "A full Ironman, numerous half ironmans, ultra-marathons, marathons and half-marathons and helping raise over $20,000 for charity are all accomplishments of Aaron Hunnel . There is still more to the story and impact that Aaron has on the physical, emotional and spiritual well-being of his family, friends and community. Aaron has the ability to inspire everyone that he meets with his positive attitude and outlook on life. He encourages everyone to live in the moment and to push their limits. Aaron sees the potential in people and has the gift of bringing it out in the people that he is around. Aaron’s accomplishments are never about him. He always finds a way to directly and in-directly impact the lives with his accomplishments. His Ironman was not about his time, it was about inspiring those around him. 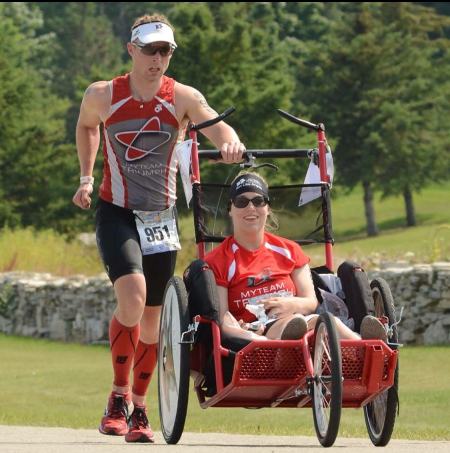 Aaron along with his friend Adam helped Katie Neuman cross 2014 Ironman Wisconsin finish line. Katie has Cerebral Palsy which limits her ability to walk and leaves her in a wheelchair most of her life but with the help of Aaron she became an Ironman. It was not just about the event for Aaron it was about building a relationship with Katie and Adam and inspiring hope. When they were out on the course they inspired their fellow athletes as well as spectators with hope and showed how one person can change the world. In many of his races or events he did it with Katie or with other challenged athletes. In his latest 50 mile run, he pushed Katie the entire way. Perseverance and grit do not begin to truly describe how tough Aaron is. Aaron inspires people to see where they could be and he tells it from a personal experience. Prior to Aaron starting to run he was a smoker, drank often and was not living a healthy lifestyle. He took the opportunity to change his life and make it better and now uses his story to inspire others to live a better life. This is a huge asset in the wellness community because when someone chooses to start living a healthier life, they often compare themselves to where others are and Aaron reminds them to focus on their accomplishments, making long-term success. With all of these accomplishments and everything that he has done, there is still one thing that sticks out to me more than anything, and that is saying a lot. It is Aaron’s ability to constantly give the gift of him no matter what is happening. Aaron has had his share of struggles, served his country and he has had his setbacks, yet the one thing that never leaves him is his ability to stay positive and to be an inspiration to everyone he meets." "Running brought John Ebel and me together 15 years ago, and led us to work together again all these years later at Fleet Feet Sports Fox Valley. He has been an inspiration to me since the day I met him! John & I first crossed paths when I was a sports reporter for one of our local newspapers in 2000. I had the honor to write about two of the runners who had done the Fox Cities Marathon every year at that point. Being a runner myself (who has yet to attempt a marathon), to me, it was an inspiration to meet two folks who had completed all the marathons so far at an event I love so much. As I have gotten to know John and his family over the past 15 years, I have learned his inspiration is greater than that marathon streak he had going. He volunteers at running-related events throughout the area year round (if I don’t see him at a finish line, I miss his smiling face); he is active with our local running group, the Pacesetters of the Fox Cities; and he is one of the leads of our Fun Run/Walk Group every Tuesday through Fleet Feet Sports Fox Valley (rain or shine, ice or snow, he is out there). He completes every mile he covers with a smile on his face, even on the days his multiple sclerosis makes the run a little more challenging. John has a never-give-up attitude, and it shows. 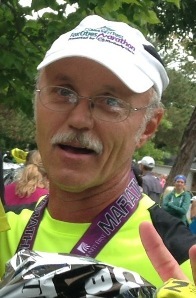 The past few months, I have watched him and others in our run group put in the miles to all compete together in the Fox Cities Marathon Sept. 20 (in which John is one of 18 folks who have completed every single marathon for that event, and it will be his 42nd marathon overall). To push through the hard days makes him an inspiration to me."